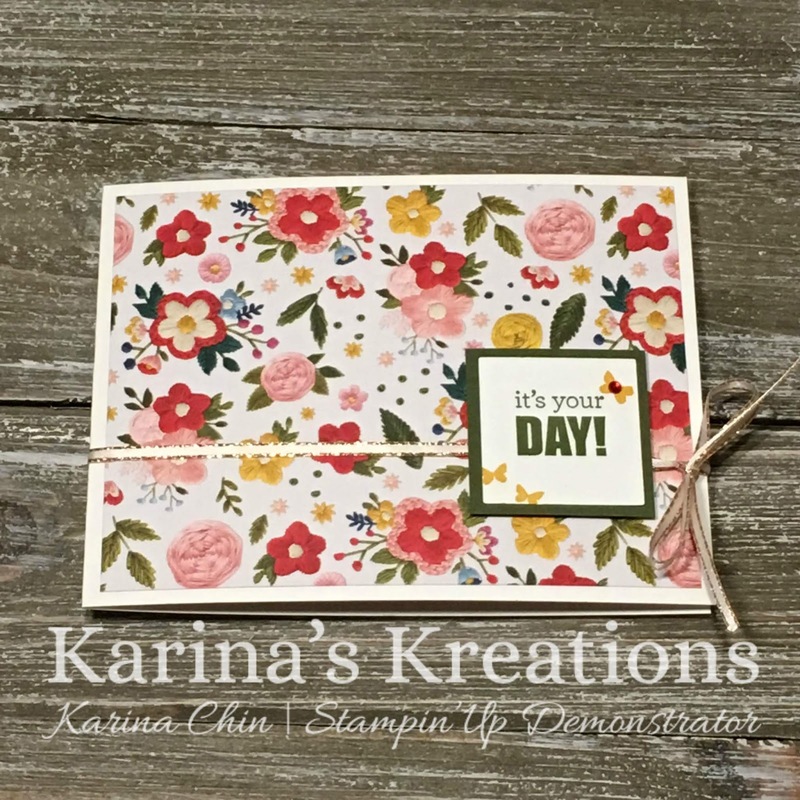 Karina's Kreations: Needlepoint Fancy Fold Card! 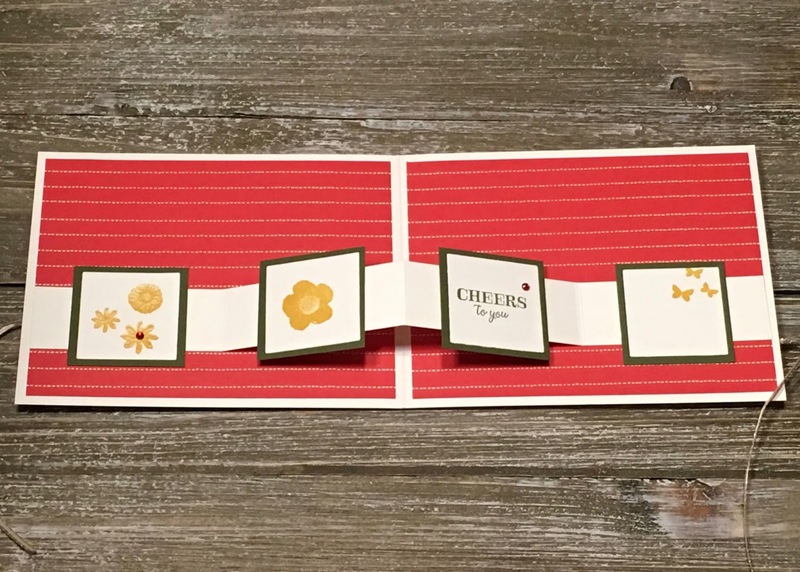 I love this fancy fold card. It's an easy way to show case the gorgeous Needlepoint Nook Designer Series Paper. 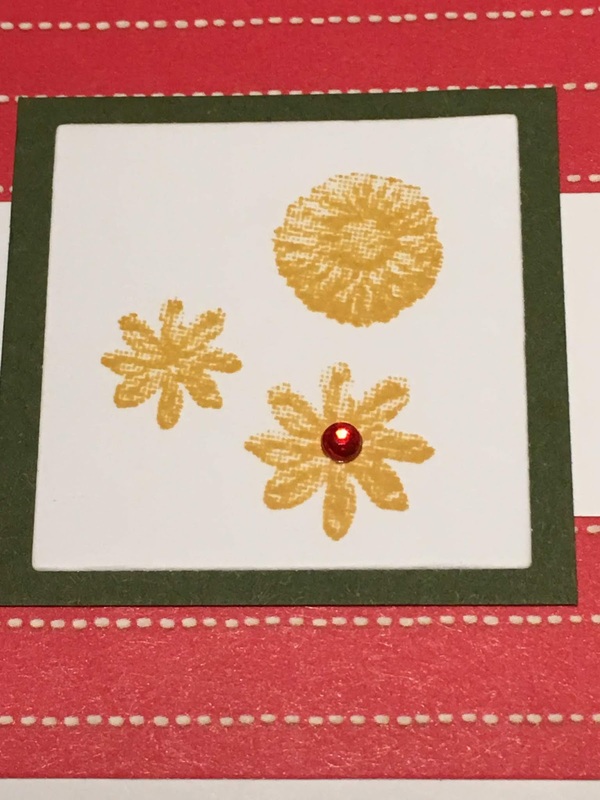 The designer paper is photorealistic and shows off the stitching in the flowers. 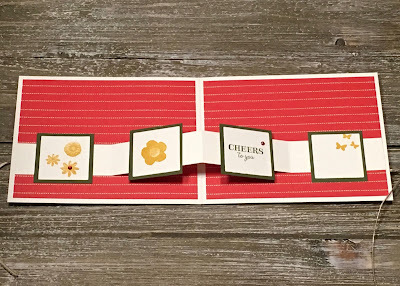 This is a very easy card as long as you own the Layering Square Framelit Dies. 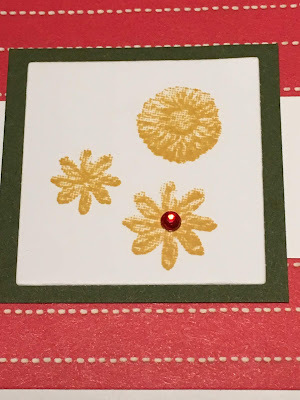 I cut 5 Mossy Meadow square and 5 Whisper White squares. The Whisper White inside piece is 1" x 11 scored at 2-3/4, 5-1/2" and 8-1/4". 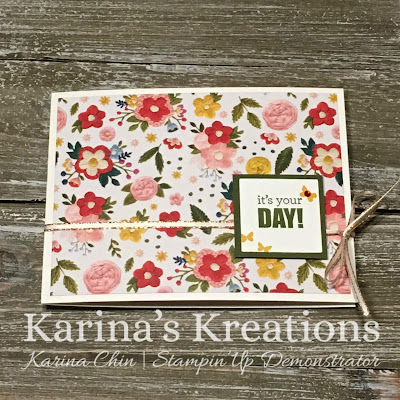 The sentiments are from the Itty Birthday Stamp Set.